Dedicated Connecticut Divorce Attorney At the Law Offices of Deborah R. Eisenberg, LLC, we are committed to excellence in resolving all matters related to divorce, custody and property division for clients east and west of the river. We strive to provide our clients with experienced, focused and responsive family law representation. Divorce and Family Law Is All We Do Attorney Deborah Eisenberg practices in divorce and family law. This narrow focus allows us to maintain in-depth knowledge of the law. Our experience helps us analyze complex financial issues related to property division, child support and alimony. We can help families find creative child custody and visitation arrangements that work for you and your children. At the Law Offices of Deborah R. Eisenberg, LLC, we have the experience and skills needed to protect your financial interests and parental rights in a divorce, while easing your transition to a new family structure. We can also provide quality legal services related to prenuptial agreements, paternity actions, restraining orders and post-divorce motions to change custody, support or alimony. Personal Attention and Caring Guidance We understand the emotional stress and practical problems caused by the breakup of a marriage. You deserve attention and patience from your divorce attorney as well as help finding workable solutions to difficult problems. As a small firm, we can assure you that you will receive very personalized service from the start to the finish of your case. Resolving Family Law Disputes by Collaboration, Negotiation or Litigation We know that every case is unique. Some cases can be resolved out of court. Others can't. We are experienced at resolving divorce and family law cases through collaborative law, negotiation and traditional litigation. 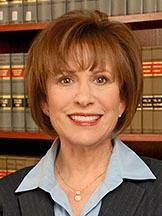 Deborah Eisenberg is a family law attorney skilled at negotiation. We will work closely with you to reach a fair marital settlement agreement without a costly and lengthy court battle. If some of the issues in your divorce can't be resolved out of court, we will work vigilantly to accomplish your goals in family court. If you are facing a divorce, custody battle or other family legal matter, contact the Law Offices of Deborah R. Eisenberg, LLC. Committed to excellence in resolving all matters related to divorce and custody for clients east and west of the river. Dissolving a marriage can be highly emotional and involve an intimidating legal process. Attorney Eisenberg is committed to helping her clients achieve the best possible resolution, whether by advocating for their interests in court or working in a collaborative process outside the courtroom. At the Law Offices of Deborah R. Eisenberg, LLC we work to efficiently and effectively resolve your divorce in your best interest. Divorces can involve other legal issues related to property division, custody, spousal support, and premarital agreements. We work to find solutions for our clients that are in their best interest and in the best interest of their children. If you are facing a divorce, we can assist you with any of the following related matters: Child custody Collaborative divorce Child support Division of marital assets, including the valuation of small businesses Alimony Prenuptial agreements or "prenups" Restraining orders We will work hard to preserve premarital assets and retain a fair share of assets acquired during your marriage. If necessary, we will contact financial professionals, including accountants, financial advisors, business appraisers and securities brokers in order to determine how to best guide our clients. It is also important for us to identify the unique emotional needs of each client and respond accordingly. We often work in collaboration with our clients' therapists and other mental health professionals to achieve our client's goals. If you are facing a divorce or need assistance with a family legal matter, contact the Law Offices of Deborah R. Eisenberg, LLC. We would be happy to meet with you regarding your case and provide you with an assessment. She serves as a Special Master in the Hartford, Rockville and Middletown Family Courts and participates in the Connecticut Bar Association's Law Works For People Pro Bono Project as a mentor for attorneys representing clients pro bono in divorce and custody cases. Attorney Eisenberg is a member of the International Association of Collaborative Professionals and a founding member and secretary of the Connecticut Collaborative Divorce Lawyers Group. She is also a member of the Glastonbury Rotary Club. Attorney Eisenberg has been named as a Connecticut Super Lawyer since 2011-12.